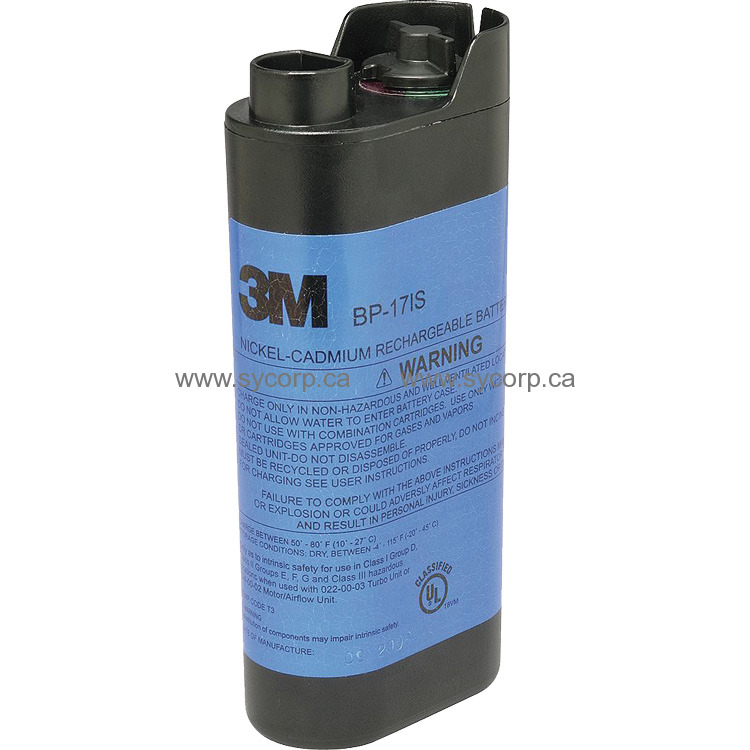 3M™ Battery Pack BP-17IS is a nickel cadmium (NiCad) battery pack that is NIOSH approved with A, AE, E, K and P3 cartridges. It is intended for use with the 3M™ Breathe Easy Turbo Powered Air Purifying Respirator Assembly 520-17-00, 3M™ Breathe Easy Turbo Powered Air Purifying Unit 022-00-03R01 and the 3M™ Powerflow™ Face-Mounted PAPR System. For use with the 3M™ Breathe Easy Turbo Powered Air Purifying Respirator Assembly 520-17-00, 3M™ Breathe Easy Turbo Powered Air Purifying Respirator Unit 022-00-03R01 and the 3M™ Powerflow™ Face-Mounted Powered Air Purifying Respirator System. NIOSH approved with A, AE, E, K, P3 cartridges only.